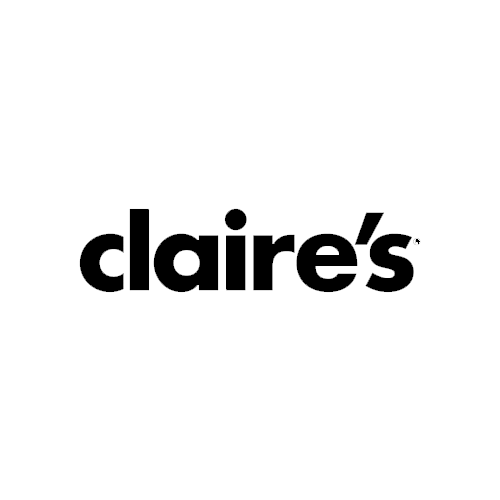 We are the World’s Leading Ear Piercing Specialists. We’ve been piercing since 1978 and with over 100 Million Ears Pierced Worldwide; you can trust that you are in safe hands. All of our Ear Piercing Specialists are fully trained to ensure that they meet all safety regulations and requirements. Our ear piercing earrings are individually packaged and pre-sterilised at a state of the art facility. We use only piercing earrings with sharp posts. For increased comfort, the piercing instrument we use is both smooth and quick. Dual piercings are also available for our younger customers who are a little scared! (2 trainer piercers at once) and we offer a wide range of earrings, from stainless steel right up to a real 9CT diamond! 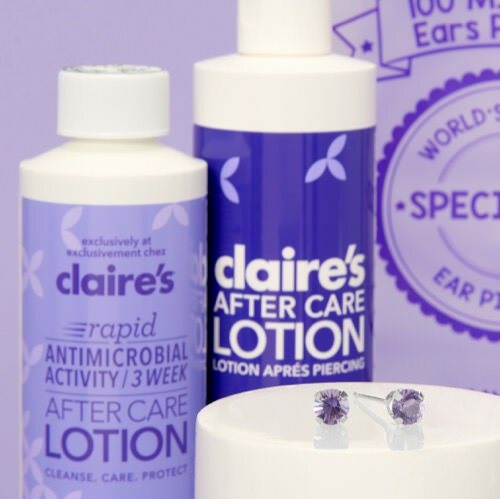 Getting your ears pierced at Claire’s is easy and safe. There’s no need to make an appointment, just visit your local Claire’s Store and one of our Ear Piercing Specialists will assist you.